If you haven’t thought about making Pinterest part of your business model in 2017, it might be time to do so. 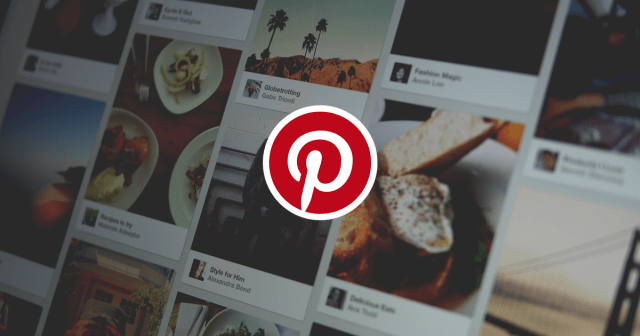 Seen as one of the biggest networks for social discovery purposes, Pinterest has been able to grab the attention of people with varied interests. Whether you’re a foodie that enjoys trying new recipes or a business owner kicking off their new online marketing firm, this particular social media site has the juice that’s more than worth the squeeze. In order to get the most out of Pinterest as you can, you have to understand that some forms of content perform better than others. There’s a reason why Etsy, for example, performs better than most other small brands on the site. By learning about what translates well, not only will you see the value of Pinterest at the onset, but you’ll be driven to use it more often in the future. Here are the top 3 forms of Pinterest content to use in 2017. While not exactly new by social media standards, infographics seem to perform exceptionally well on Pinterest. After all, Pinterest is a mostly visual platform, meaning that striking graphics are going to catch people. Infographics are no exception and they can offer details on various interests. For example, do you want to learn about how much the Darth Vader suit from “Star Wars” would cost to make? Mashable created such an infographic and the traction that it gained on Pinterest – over 55 thousand Pins, to be exact – is nothing short of commendable. Whether people realize it or not, they’re drawn to the idea of learning new things. Social media sites like Pinterest have harnessed this human behavior and used it well, creating content that not only intrigues but expands the minds of many. For anyone that would like to use Pinterest for their business endeavors, infographics should be taken into account. Have you ever come across a recipe showing you how to make no-bake cookies? How about step-by-step instructions regarding Thanksgiving paper crafts? These are just a few examples of the tutorials that have become popular on Pinterest. Directions that are easy to follow will undoubtedly grab the attention of others, regardless of how interested they might be about certain hobbies. Someone who isn’t exactly skilled in baking might be able to put together a cake in no time, courtesy of Pinterest content. In order for tutorials to be engaging on Pinterest, at the risk of sounding repetitive, directions have to be easy. When anyone can follow them, without much difficulty, it’s a given that more Pins will be gained. Pinterest’s collective audience is diverse and it’s important to reach out to as many people as possible. Keep this in mind if you’re interested in creating your own tutorial posts for Pinterest. Despite what you may think, well-written articles can perform well on Pinterest. In order to get people to click on your editorials and columns, however, they have to be accompanied by strong graphics. The trick is to make them relatively basic from an aesthetic standpoint, all the while ensuring that they have the article titles listed. From, there you’ll be able to host your articles on your Pinterest account, grabbing the attention of many with strong headlines and content in general. It’s hard to believe that articles could perform well on Pinterest, which seems to favor graphics more than anything else. However, as stated earlier, social media facilitates the human interest of pursuing knowledge. “5 Habits Of Exceptionally Likeable Leaders” from StartupCamp performed well, netting almost 4 thousand Pins in the process. Don’t assume that written articles can’t mesh with your Pinterest strategy. If anything, they can make all the difference in the world. Have you thought about using Pinterest in 2017? Have you already been using it for a while now? Regardless, please leave your thoughts below!